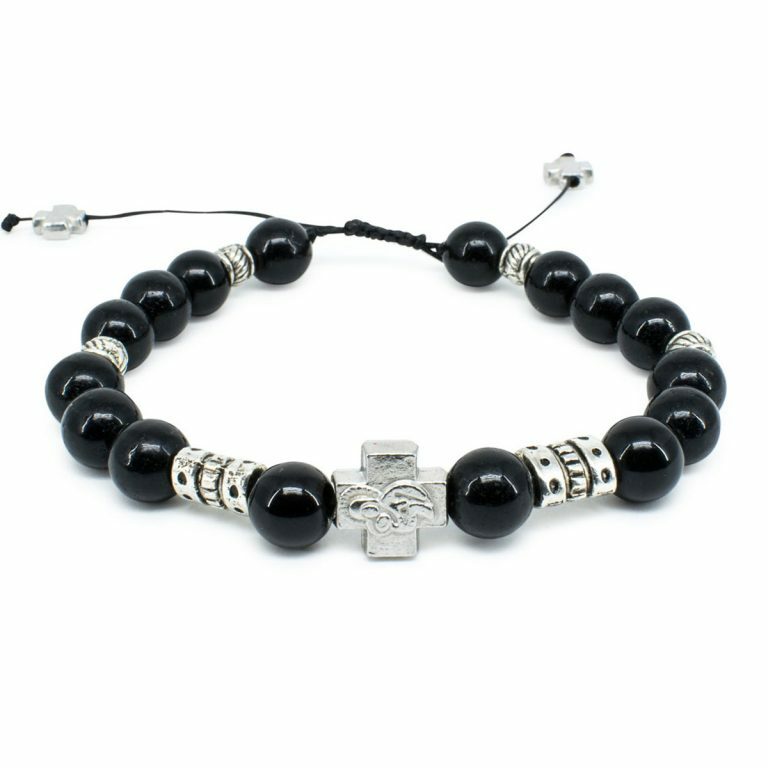 A welcome variation to the standard black onyx prayer bracelet. 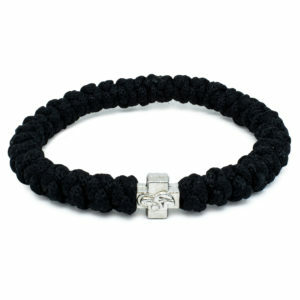 We have added some decorative metal divider beads which give this bracelet some added pizzazz. 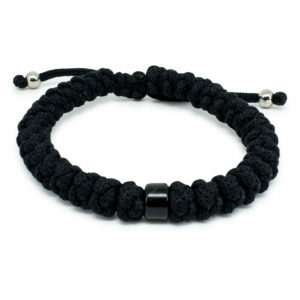 The metal dividers go well with the shiny black onyx. 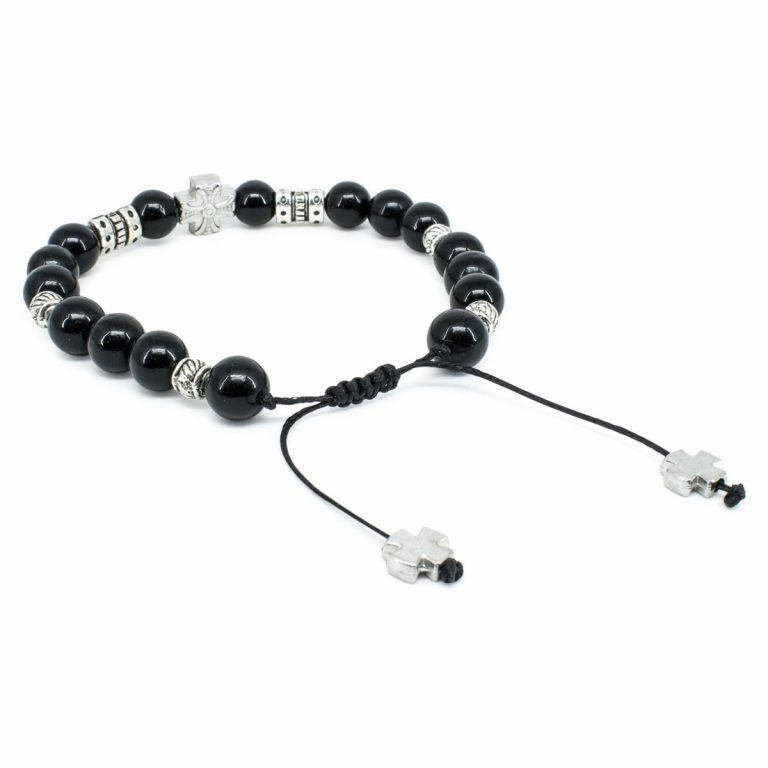 Like our customers are already used to, we exclusively use genuine high quality black onyx beads (8mm). 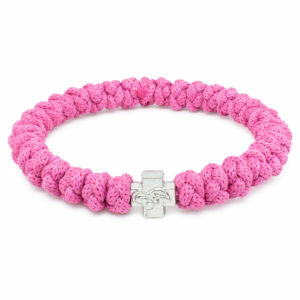 And of course this bracelet has also been blessed and purified. 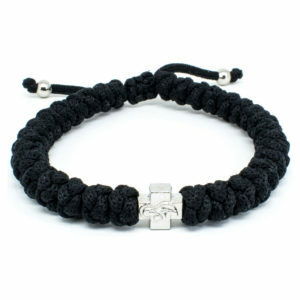 Size: Adjustable, you can pull the 2 cords to tighten or loosen the bracelet.